Just north of the Mason-Dixon Line stands the location of Moritz Tavern. This tavern, today the home of an auto salvage yard, is where Union Left Wing commander Major General John F. Reynolds spent the last night of his life. The tavern building was constructed in 1802 by Mathias Waybright. Waybright’s ownership of the tavern lasted a mere nine years, when he sold the tavern and its 24 acres to Nicolas Moritz. 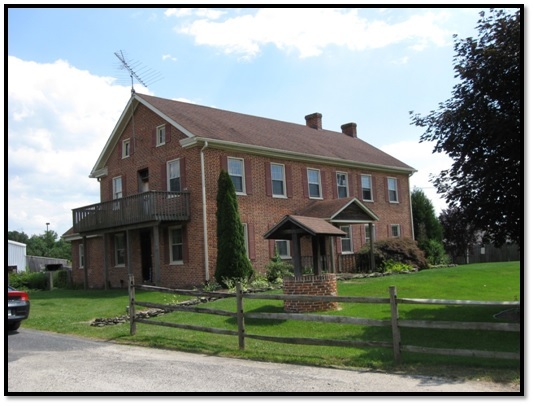 By the time of the battle of Gettysburg Nicholas was dead and his son Samuel now owned the property. Samuel had not renewed his annual tavern license for the year 1863. 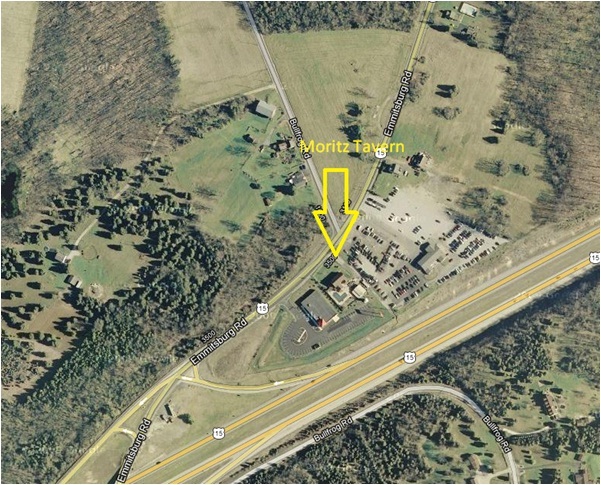 Ironically the building we call Moritz Tavern, wasn’t actually an operating tavern at the time of battle. Reynolds and his staff made their headquarters in the tavern on the afternoon of June 30th. Reynolds wing of the Army of the Potomac consisted of the 1st, 3rd and 11th Corps, plus John Buford’s division of cavalry. Throughout June 30th Reynolds awaited instructions from friend and new army commander Major General George G. Meade. The tactical situation at this point of the campaign was changing by the hour and Meade was doing his best to filter through information on the enemy that he had at hand. With little to do but wait, Reynolds called upon the 11th Corps commander, the “pious but vapid,” Major General Oliver Otis Howard to the tavern for dinner. The two dined, spoke of the possibility of battle, reviewed maps, but no orders from Meade arrived. Howard made his way back to his headquarters at St. Joseph’s College about 8 miles south of the tavern. Near 4 A.M. Meade’s orders finally found their way to his wing commander. Reynolds was asleep on a wooden floor, wrapped in a blanket, and according to one account using a saddle as a pillow. Other accounts have Reynolds sleeping on a bench or a number of chairs placed close together. Regardless, Reynolds was obviously in a deep sleep, for it took the staff a few moments an multiple readings of the orders before the gravity of the situation sank in. Soon Reynolds was up issuing orders and readying himself to ride to the front. To reach Moritz Tavern from Gettysburg take the Emmitsburg Road south to the village of Fairplay. There you will see the Gettysburg Auto Exchange on the left side and a large brick building, the tavern. If you reached the fireworks store, you have gone too far. Authors Note: The tavern and its property are privately owned. Please do not approach their door and ask to tour the building. This entry was posted in Battlefields & Historic Places, Campaigns, Leadership--Federal and tagged Battle of Gettysburg, Emmitsburg Road, Gettysburg, Gettysburg Off the Beaten Path, John Buford, John Reynolds, Left Wing, Moritz Tavern, Oliver Otis Howard, St. Joseph's College. Bookmark the permalink.